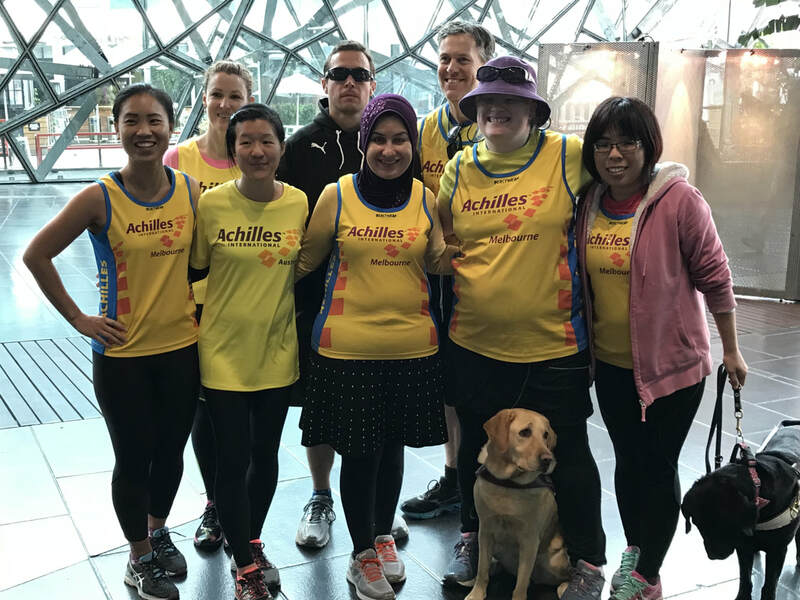 Achilles Melbourne Incorporated is proudly run by volunteers. We are a not-for-profit registered charity. Our aim is to increase the participation of people with a disability in physical activities. We achieve this by providing training opportunities and sponsorship for members with a disability to fun run events. Achilles Melbourne Incorporated started with humble beginnings in March 2016. Our first training was held next to Vision Australia’s head office in Kooyong. After noting the demand for a more central training location, we relocated our training to the fountain near the corner of Linlithgow Ave and St Kilda roads in May 2016. By March 2017, we had out-grown our single bench space and relocated to meet around the corner at Janet Lady Clarke Rotunda.